Planning a large fundraising event can be akin to planning a wedding – dozens of vendors, hundreds of guests and a myriad of logistics. With so many details to juggle it’s easy to understand how lack of preparation can cause things to go awry. Many fundraisers make the mistake of skipping a proper event rehearsal; and simple mishaps like a crowded room at the silent auction or a broken microphone can ultimately leave money on the table. Almost all can agree that every wedding needs a rehearsal, so why shouldn’t a fundraising event also have a dry run? Here are some tips on what you can do before your event to ensure that it runs smoothly. Having a smart layout can make or break your event. A bottleneck at check-in can give guests a bad first impression, a poorly laid out silent auction table can deter guests from bidding and a slow check-out process can sour a guest’s great evening. Plan your layout well in advance and then practice! Grab some colleagues and volunteers to roleplay different parts of the event. This is an easy and engaging way to truly see if your layout plans will work for your event. Your event won’t happen without knowledgeable and energetic volunteers and staff. Every person involved in your event should fully understand their expectations and responsibilities. Before the event, share all pertinent information with volunteers, invite them to your office to view event software and even consider hosting a training webinar. Make sure everyone knows their role and where they should be at all times – the last thing anyone wants is a lost volunteer. Staff should be prepared to step-in to help a volunteer who needs help. “Is this mic on?” It is best practice to test all equipment ahead of time. Technology can be fickle, so check all laptops, tablets, printers, projectors, microphones and speakers. If anything is password protected then it’s a good idea to have a list of all passwords readily available for staff and volunteers. You wouldn’t want to have issues logging in to your computer just before the presentation starts! Organize all of your supplies ahead of time and have a list of where everything is stored. This will save lots of stress during set-up. Caterers, entertainment, MC, rentals… events require dealing with many vendors. Double check timing and all details with your vendors well in advance of your event. Then check again the day before! It may seem like overkill, but it’s imperative to set your vendors up for success so that everything runs smoothly. The last thing you need to worry about is a late bartender or missing tablecloths. One of the biggest pitfalls of planning a fundraising event is not having a smooth event flow, which can leave guests feeling sluggish and less inspired to bid high. 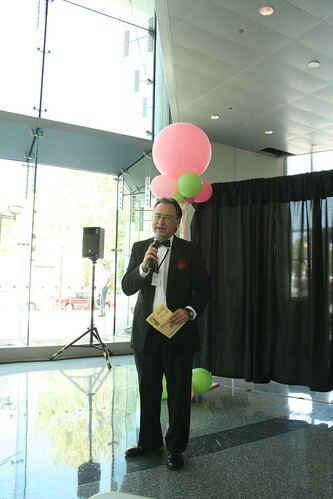 Rehearse each section of your event (silent auction, presentation, live auction, etc.) to ensure you have just the right amount of time for each piece. Also make sure your MC completely understands the schedule since they will be running the show. So what happens if something goes wrong? You should brainstorm all possible issues and create a contingency plan. Know your presentation by heart in case of any technology issues, be prepared to jump in if your MC is sick and figure out what you’ll do if people start leaving early. By anticipating various issues in advance you will save time, energy and potential donations; and be the hero of the event! Both first timers and experienced fundraisers and volunteers can benefit from an event rehearsal. Practice will motivate everyone before the big day and get all stakeholders on the same page. Plus, it can be a great opportunity to preemptively celebrate all the hard work you’ve put in to prepare for a fantastic event! A “dry run” can be the best thing that happens to your fundraising event and your organization.